Tired of ISIS bottom brackets that last only a season or two? The larger ISIS spindle leaves less room for the bearings. Most high-end bottom brackets use pressed-in cartridge bearings with tiny balls that wear quickly. 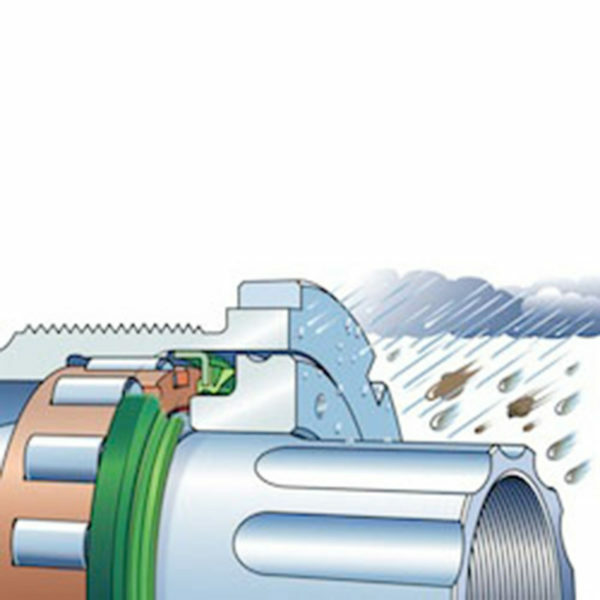 To keep the bearings running smoothly, SKF designed and patented multi-stage seals that retain the grease and keep out water and dirt. 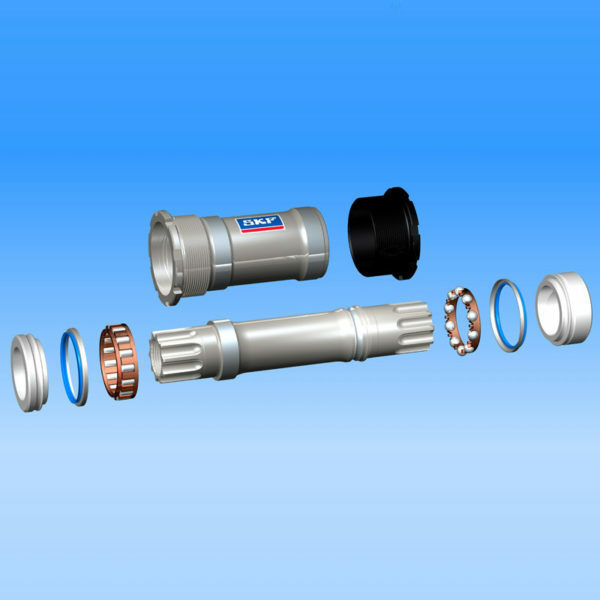 Other modern cartridge bottom brackets, even the most expensive models, are relatively simple designs with exposed bearings that are separated from the elements only by rubber dust shields, which are not designed to keep out water. 10 year warranty includes the bearings. All parts of the SKF bottom brackets, including the bearings, are made from corrosion-free stainless steel and aluminum. Installation is simple, and requires only an ISIS-type bottom bracket tool. Do not use a “single-hook” bottom bracket wrench, as it can crack the hardened stainless steel of the BB shell. For 73 mm wide BB shells. Can be used with 68mm wide BB shell with 2.5mm spacer on the drive side (available separately). Click here for downloadable instructions for SKF Bottom Brackets, René Herse Cranks, and our chart for using the two together.